Our firm's State & Local Tax (SALT) Practice offers exceptional experience in all New York State, New York City and multistate tax issues to our clients. The group’s New York State tax attorneys are also well-versed in multistate, international and cross-border tax matters. From planning and compliance to litigation and damage control, our SALT Practice attorneys provide legal solutions specifically tailored to meet our clients’ requirements. While other firms of similar size may have one attorney who occasionally handles state and local tax matters, the Hodgson Russ SALT Practice has many New York corporate tax attorneys – with more than 20 professionals -- experienced in areas that include audit and assessment defense, unclaimed property filings, business incentives, business succession planning, corporate structuring, income tax, residency law and audits and planning, personal income tax audit, energy taxation, litigation, lobbying, negotiations, abandoned property law and sales tax. Our SALT partners include Paul R. Comeau, who founded our SALT Practice and who has more than 40 years of experience practicing tax law; Mark S. Klein, a nationally known speaker and author; Christopher L. Doyle, practice leader, who has extensive experience in the area of corporate taxation; Timothy P. Noonan, the practice’s chief litigator, who won a landmark residency case in New York’s highest court in 2014; Joseph Endres, who focuses on sales tax issues for technology companies, various tax credit programs, and multistate abandoned property issues; William J. Comiskey, former deputy commissioner for tax enforcement at the New York State Department of Taxation and Finance; Thomas Collura, who handles mergers and acquisitions, financial transactions, and complex trust and estate matters in the Albany area; and Debra Silverman Herman, who focuses on the state and local impact of multistate business activities. In addition to the attorney team members, our SALT Practice includes two Audit Managers, one Senior Audit Manager and one Senior Audit Manager/Tax Analyst, three of whom are former New York State tax auditors. Hodgson Russ LLP has been awarded prestigious "Best Law Firm" rankings by “Best Lawyers/U.S. News & World Report” in the categories of National Tier 2 Tax Law and Litigation – Tax, Metropolitan Tier 1 Tax Law, and Metropolitan Tier 2 Litigation – Tax. 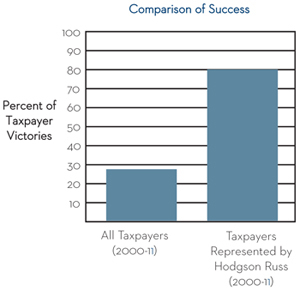 Based on statistics obtained from the New York State Division of Tax Appeals’ annual reports, taxpayers lose most of their litigation against the Tax Department. In fact, out of all the determinations issued by administrative law judges in 2000-2010, taxpayers prevailed less than 27% of the time. Our track record is better. During those same 10 years, when litigation was required, Hodgson Russ’s New York corporate tax lawyers won approximately 80% of the cases we litigated in the Division of Tax Appeals and New York courts. This success rate is staggering. As stated by one of our Fortune 500 clients: "Other tax advisors produce legal bills. You guys produce results." Word gets around -- and this type of success has made us a go-to firm for disputed tax matters. Of particular note: We’ve represented approximately 30 of the billionaires listed on the "Forbes Guide to the World’s Richest People." Audits. Tax attorneys in our SALT Practice regularly help clients navigate the murky waters of an audit, including New York State sales and use tax audits, corporation income tax audits, franchise tax audits, flow-through entity audits and abandoned property audits. During the past 25 years, we’ve handled thousands of residency and income-allocation cases. We’ve been told by high-ranking New York State Tax Department officials that we handle more residency cases than any other firm in the state. No matter where a client is in the audit process, whether it’s initial contact or collections, the firms' SALT Practice can help achieve a satisfactory resolution. Litigation. When litigation is inevitable, Hodgson Russ approaches it as a business and legal challenge. The attorneys in our SALT Practice have represented hundreds of clients before the New York State and New York City administrative tax courts and tax courts in other states. We also are well-versed in their procedural intricacies. Our SALT Practice attorneys handle a variety of judicial matters, including obtaining declaratory judgments and prosecuting judicial appeals from the administrative courts. We have advocated on behalf of clients in all of New York’s judicial and quasi-judicial institutions, from conciliation conferences to oral arguments before New York’s highest court, the Court of Appeals. In 2014, we won one of the most important residency cases in decades at New York’s highest court. And Hodgson Russ is the only firm to use the provisions of the Civil Practice Law and Rules statute to obtain legal fees (more than $145,000) against the Tax Department in a litigated tax case. Government relations. The SALT Practice’s strong Albany presence, combined with its extensive technical and substantive tax knowledge, gives Hodgson Russ an edge at the legislative level to lobby effectively for or against changes in the tax law on our clients’ behalf. Our attorneys work closely with decision makers in the state and city tax departments, as well as with legislators and legislative and executive tax-writing staff members. Multistate tax issues. Hodgson Russ’s income tax lawyers help many businesses that are in another state deal with the widely varying tax laws and regulations that affect them. 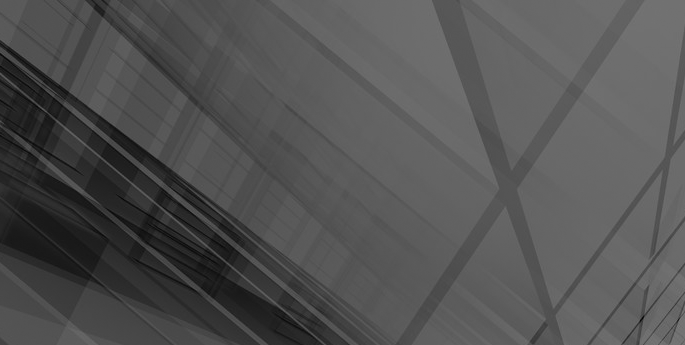 We also help clients create a plan of action for managing multistate tax compliance using our proprietary Matrix planning tool to help clients quantify their exposure through a state-by-state analysis of audit risk and liability concern. Maryland v. Wynne: Does it Affect You? Maryland v. Wynne, a 2015 U.S. Supreme Court case, could have an impact on taxpayers across the country, including taxpayers in New York. In Maryland v. Wynne, the Supreme Court held that the Maryland resident tax credit was unconstitutional. Residents were subject to double taxation on income earned outside the state, and the Supreme Court determined their Maryland income was impermissibly favored. The taxation structure created a tariff, in effect, in violation of the Commerce Clause of the U.S. Constitution, which is dormant. That case arose because Maryland imposed a county and a state tax. For state taxes, residents could get credit for taxes paid on income earned outside the state. This did not apply to county taxes, allowing for double taxation. For New York taxpayers, this is significant because the state also charges some local taxes, notably in Yonkers and New York City. In addition, like Maryland, the state taxes residents on income earned outside the state. One notable difference, however, is that nonresidents of New York are not charged New York City local tax. This could impact whether courts rule in favor of New York residents seeking a refund claim after the Wynne ruling. New York taxpayers, especially those with long-term residences in nearby states, may also seek to challenge the 1998 Tamagni case, which determined that two states can tax “intangible” income from investments in cases where a taxpayer is a resident of both states. The decision in Wynne may be used by taxpayers to challenge the 1998 ruling. People who work from home may also take interest in Maryland v. Wynne. New York is one of five states to have a rule known as a "convenience of the employer." Under this, telecommuters who are not residents of New York but who do work for a New York-based employer from their non-New York home may be subject to tax in New York. Since many other states follow a “physical presence” rule, they may also tax the commuter because they were physically working in another state. This may subject the telecommuter to double taxation. The Supreme Court decision in Maryland v. Wynne determined a state rule was unconstitutional if it led to double taxation due to internal inconsistency. Telecommuters facing double taxation because of New York’s laws could use Maryland v. Wynne as the basis of a case. If you could be affected by Maryland v. Wynne, or if you could fall into any of these categories, you will want to work with a New York tax attorney at Hodgson Russ to build your case. The team at Hodgson Russ has the resources to represent you. To learn more about how to obtain these handbooks, please click here. In addition to Tim Noonan’s "Noonan's Notes," (which is a monthly column for Tax Analysts’ State Tax Notes), the group’s attorneys have written for publications that include “The Journal of Multistate Taxation,” “Trusts & Estates,” “The Trusted Professional,” “Business First,” “CPA Journal” and “Tax Stringer,” among others, and have been frequently quoted in such publications as “The New York Times,” “The Wall Street Journal,” “BNA’s State Tax Report,” “The Buffalo News,” “Capital District Business Review,” “State Tax Notes” and “Forbes,” sometimes in multiple articles per publication. We spread the word. While Mark Klein is among the country’s most prolific speakers on tax topics, many of the other attorneys in the group are also well-known speakers. Our attorneys have presented at an extraordinary number of seminars, estimated at approximately 80 speeches per year across the country. In recent years, Mark has presented at the American Institute of CPA (AICPA) Sophisticated Tax Planning Conference in Las Vegas. He’s also presented at the AICPA National Tax Conference in Washington, D.C. about residency and doing business on the web, recorded a SmartPros video on residency and taken part in the Foundation for Accounting Education webcasts. Tim Noonan has presented at the annual CCH User Conference and the National Multistate Tax Symposium, sponsored by Deloitte, and he is a regular speaker on the CCH webinar circuit. A New Trump Card for New York Residency Audits? What’s Up With New York Auditing Wall Street for Sales Tax? What Retirement Income Is Exempt From State Taxes? An Easier Fix to New York’s Statutory Residency Problem? An End to the Temporary Stay Test in New York? Multistate Taxation of Stock Option Income - Time for a National Solution?